Chadwick Boseman, Lupita Nyong’o, Danai Gurira, that’s just to name a few of the celebs that stunned the red carpet over the weekend at the 2019 NAACP Image Awards at the Dolby Theater in Hollywood! grown-ish star, Anthony Anderson hosted the night’s festivities in honor of the show’s 50th year. This was Anderson’s sixth year hosting the show. While the night consisted of acknowledging the best in film, television, literary, and recording, it’s hard not to celebrate the fashion looks that strutted the red carpet that night as well! Check out our favorite red carpet looks from the 50th NAACP Image Awards below! 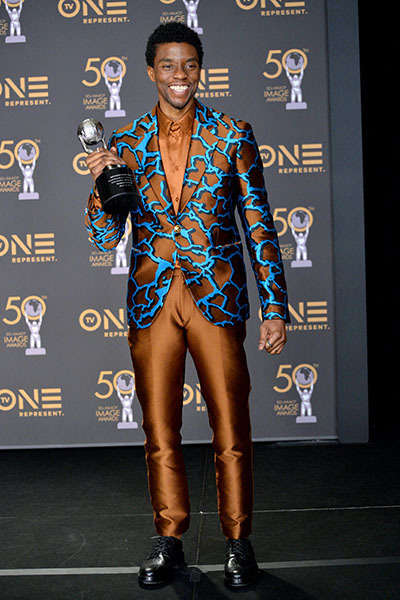 Let us know who showcased your favorite red carpet fashion look at the 2019 NAACP Image Awards in the comments below!